La Grulla Police Chief Desi Olivarez will soon be taking on another role now that the Starr County Commissioners Court approved appointing him as Precinct 3 constable. 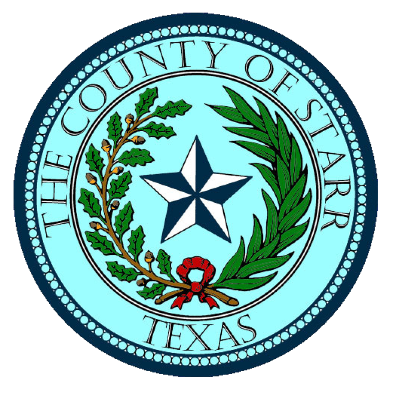 The commissioners court approved Olivarez for the role during Monday morning’s meeting at the recommendation of Precinct 3 Commissioner Eloy Garza. Olivarez will be filling the position in April, following the retirement of current Starr County Constable Santiago Zarate, whose current term ends in December 2020. Zarate has served as constable for more than 20 years, according to Garza. Garza said he recommended Olivarez for the appointment because he is already a certified peace officer and won’t have to go through the training process. Olivarez said he was approached multiple times to assist the constable’s office but initially declined. “Because I was really focused on the police department and the volunteer fire department,” he said, referring to his duties helping out at the La Grulla volunteer department and the Mission volunteer fire department as a captain. After some thinking, however, he decided to give it a shot. Aside from performing law enforcement duties, such as issuing traffic citations, a county constable serves warrants and other documents, such as subpoenas and temporary restraining orders. A constable also serves as bailiff for the court of a justice of the peace. As for how he will juggle all of his duties, Olivarez explained he only works about 9-10 days per month in Mission. “I have plenty of time off and the constable’s position doesn’t have that much work at this point,” he said. Olivarez’s appointment will last until the current term ends in 2020, at which point the position will be up for election. The chief said he will likely run in 2020, admitting he pretty much committed to it. “I’m going to find out within the next year what it actually entails, but I think I’ll give it a run,” he said. For now, Olivarez said he will continue serving as La Grulla police chief and wants to continue overseeing the projects that he is administering there. Olivarez reiterated he was confident he could handle the additional responsibilities and was looking forward to the possibilities. “I’m excited and I want to see what I can bring to that office,” he said.